Maximized Business Potential. Continued Growth. With Imaginet's help, a leader in occupational drug and alcohol testing has deployed 5 custom web applications, with the next to release December 2018. 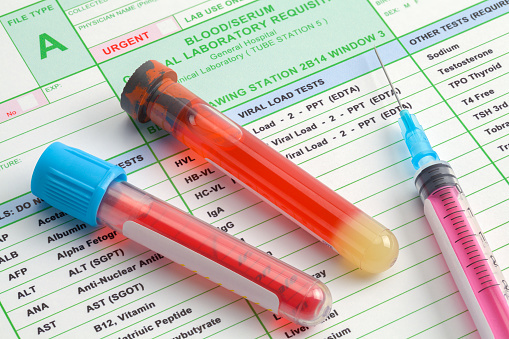 A leader in occupational drug and alcohol testing had an in-house Microsoft Access application that became unsustainable and scalable for their business needs. They engaged two different software development teams over a period of 18-months to re-design the business application into a modern .NET framework to support their continued growth. Despite having two software teams, the result was incomplete and required an immense amount of additional work to become production-ready. They required a consulting company with an expertise in custom business solutions, .NET development, and a team who was willing to take on this development challenge. Imaginet was engaged to take ownership of the technical delivery of the in-house application through to production. Imaginet began by working with their business users and created an application assessment of the current code base with prioritized recommendations to enable the client to release the project to production. The client provided the user stories to the backlog and Imaginet provided the technical resources to complete the stories. This model worked extremely well for both organizations over the first 6 months and resulted in the client increasing the amount of Imaginet developers working on the project. Imaginet has since re-developed four additional external client facing web applications that integrate with the existing in-house application. These were all existing apps written in archaic languages that Imaginet re-wrote in AngularJS to improve performance and security. The first of the new apps was for company contacts to be able to access information such as drug test results, invoices, and employee information. The second was for the test collections site to be able to access donors’ booking information. The third was for medical review officers to be able to view issues and to confirm and verify results. The fourth was an app for ordering supplies that also integrated with the test collections site. Imaginet provides ongoing development and maintenance support for all five applications. Requirements gathering for a new custom sales tool and quote generator has begun and this app is set to launch December 2018.